Let’s have a short break from the more tutorialesque side of articles on Windows to Linux migration. Only not quite. We will remain in the realm of this delicate subject, but rather than discussing specific topics, like mail, office and others, we will generalize. In other words, should a friend ask you, what software they can run in Linux, you will point them here. The idea is not just to list software they can have when moving to a new operating system. It’s about providing the exact same functionality that they used to have. Satisfying their needs so they will want to test Linux and then keep on using Linux. Now, we must be brutally honest and impartial, so there’s a chance we might not have all the answers. All right, after me. Difficulty: trivial. If you really are using Internet Explorer because you like it, then you probably are not destined to be using Linux. And if you are not using this browser in the first place, then the switch over to other candidates is more than trivial, because browsers like Chrome or Firefox work beautifully well on all operating systems. But there’s a caveat. 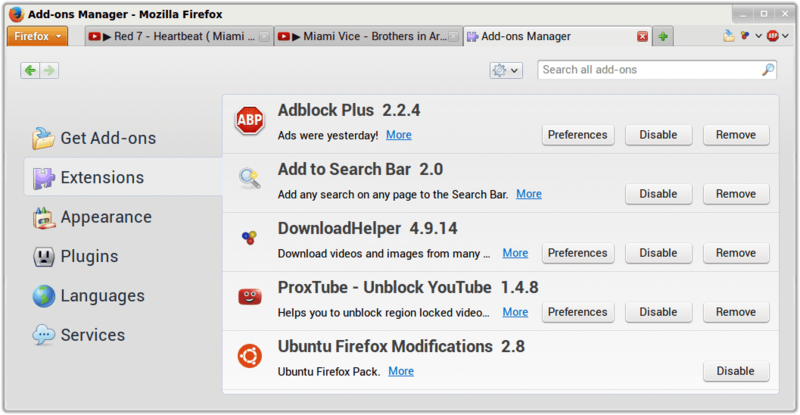 For example, in Firefox, some of the extensions are designed for specific platforms only. This means you might potentially lose some of your functionality, but not much. Difficulty: Easy or impossible. It really depends how you look at it. If you need your documents to be absolutely accurate and identical to the original when you send them to other people, then you cannot afford to use any other software than Microsoft Office. 100% fidelity of conversion in your Microsoft documents means Microsoft software. But that means no Linux, because Microsoft Office is not designed for this operating system. The end? Not quite. 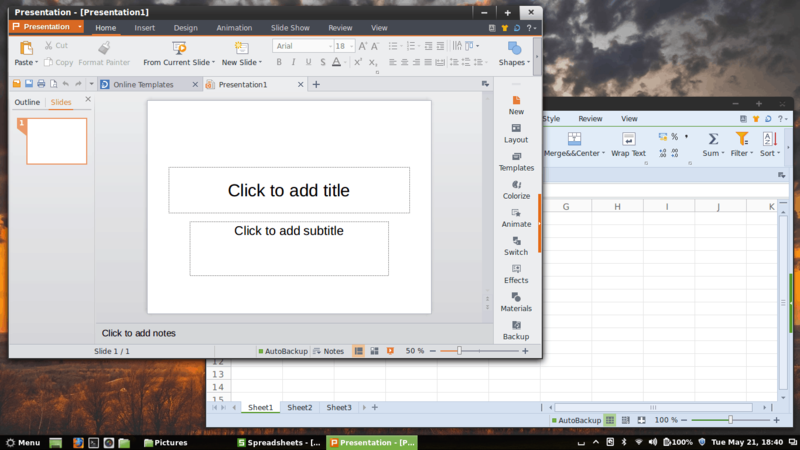 There is Microsoft Office Online, and it works great in all browsers, on all platforms. This is an excellent cloud-based solution, which lets you enjoy all the perks and benefits of using Microsoft Office and retaining the formatting and functionality. Plus, it’s all free. We will have a complete article reviewing this solution quite soon. For those who want to remain in the realm of the desktop, then many alternatives exist. We have seen them in a range of office-related reviews and tutorials here on Netrunner. However, we want to narrow down the list and present only the top ten programs. In that case, Kingsoft Office is probably the best option. It is less popular than LibreOffice, it is not a mainstream darling, you might not even find it in all the repositories, and its Chinese heritage might scare you. But if you seek quality and accuracy in file format conversions, then as a tool of trade, this is the best one for you. Difficulty: Easy or medium. I’m listing Outlook separately. 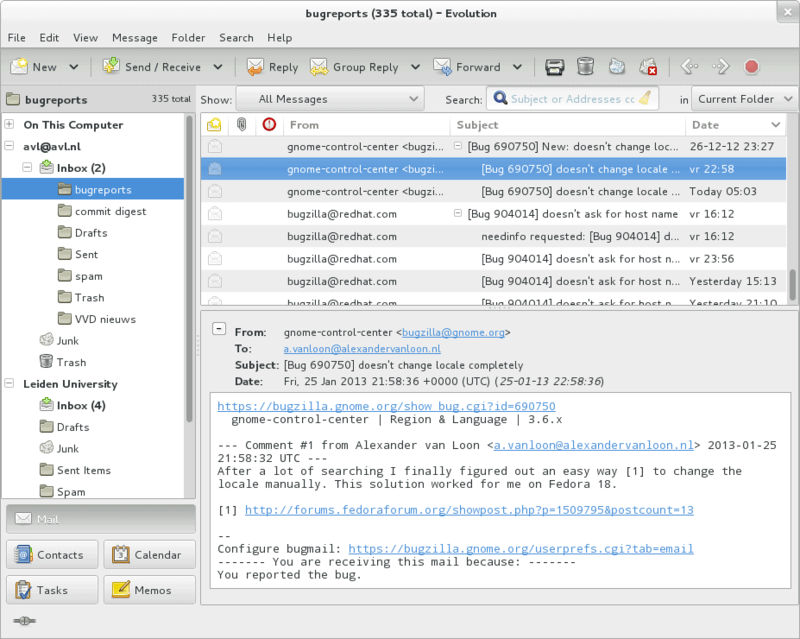 It is a fairly good mail client, I must admit. And it comes with a whole bunch of collaboration add-ons that enhance its functionality. It’s superb for work environments, and it excels over many other alternatives if you have to hook your workstation into a domain. So now, if you must migrate, what gives? Well, once again, if you are not scared of the online world, then Office Online is the answer. If you are, then you must restrict yourself to something more desktopy. There is a whole range of mail clients for Linux, and we will be having a dedicated article on this soon enough, too, including Evolution, Thunderbird, KMail, and some more. Evolution probably has the most enterprise feel. Thunderbird is ideal for home use. Overall, all combined, I would probably have to recommend Evolution, even though I personally use Thunderbird. Because it is an alternative to a need and not to personal taste. Image credits: Courtesy of gnome.org, CC BY-SA 3.0. One more time, a separate category. Difficulty? Well, kind of hard. You might immediately think of Pidgin. Or perhaps Telepathy. The spec list is fairly impressive, especially for the former, but for people who expect Microsoft-like quality, then they will want to go with another Microsoft product, which is also available for Linux. Yes, you guessed right. 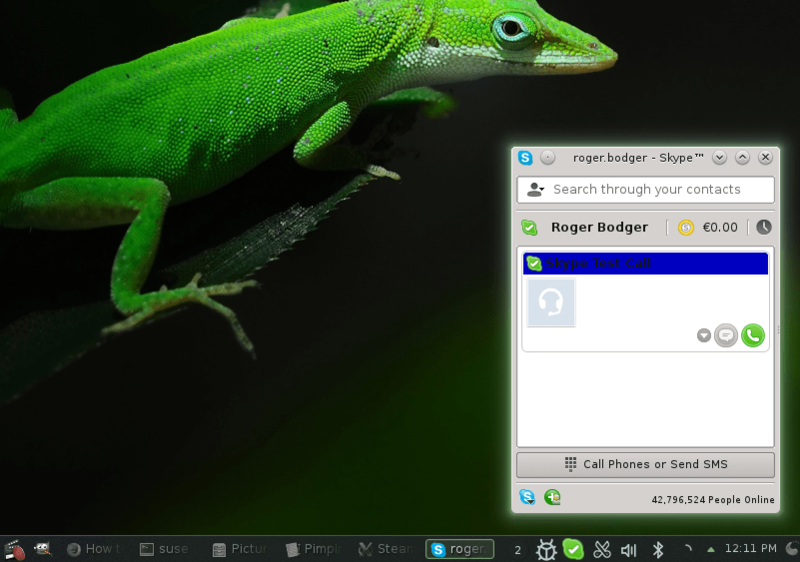 It’s Skype. You will get your audio and video sharing and collaboration, conferencing and all the rest. Difficulty: Easy. Sharing is caring. If you’re into P2P, the vast majority of Windows user probably runs uTorrent as their BitTorrent client. Which is a shame, because there are many superior programs. You will be much better off with qBittorrent, and if you move into the world of Linux, the list is endless. But almost automatically, everyone will recommend Transmission, which is what I’m going to do, too. Difficulty: Easy. Are you really using that one? All right, so be it. 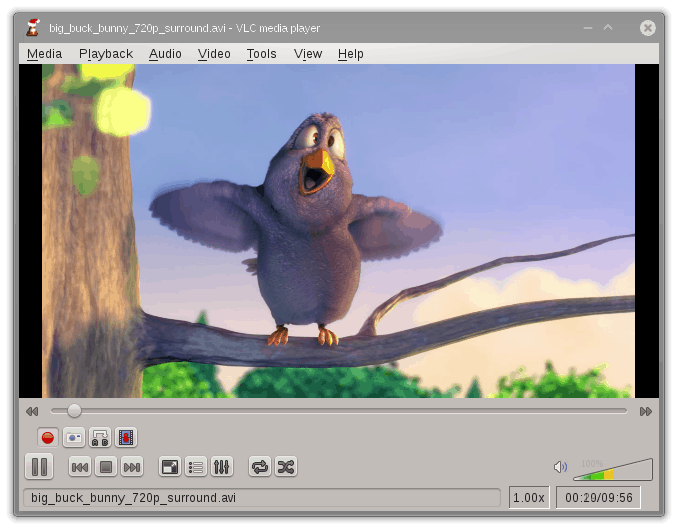 Now, if you are interested in a much more refined experience, which means tons of skins, options and features, amazing support of codecs, playback for anything that could possibly be played, and portability, then VLC is your answer. You will want this cute little application on your Windows desktop, as well as in Linux, and it will do great. Difficulty: Easy or Medium. Now, you cannot possibly be using the default program for your images. You are most likely watching and editing your photos in a great lightweight program like IrfanView. In that case, moving to Linux does present you with a problem, because IrfanView is a little hard to replace. It does run well under WINE, so that can be used as a solution to your woes. If you want to use a native program, GwenView is probably the best all-around image viewer. There are many others, but it has the most sensible interface plus range of options without being overwhelming. Difficulty: Easy or Medium. Same as above. If you use Notepad, then replacements are aplenty and superior. If you have switched to an awesome program like Notepad++, then your Linux quest will not be as successful. WINE comes to the rescue one more time. Or you might want to consider Kate, which is a fierce little text warrior. It’s a great program really, so the migration comes to taste rather than functionality hurdles. Difficulty: Impossible. Now, here’s a tricky one. There’s no program that works as well when it comes to image manipulation. Some people might be tempted to say GIMP, but no, sorry, it’s not as good. 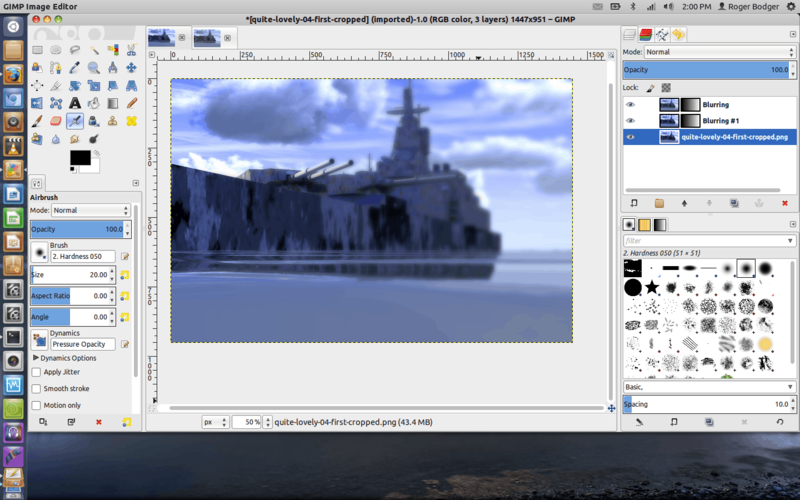 I love GIMP, I use it almost daily, I am really impressed with its range of options, filters and scripts, but it cannot compete with Adobe. This means that if you do professional image editing for a living, you must retain a copy of Windows, or maybe OSX, but not Linux. Here’s one category where Linux kind of fails the migration test. Difficulty: None. This be a hot potato. Security software of any kind, really. You want it, right. You feel naked without it, and now that you’re considering Linux, you are wondering what kind of software is there to protect your soul. Well, apart from the built-in awesomeness and privilege separation, and a bunch of nerdy kernel mechanism you should never care about, there’s nothing really. Stark naked but robust and safe. How it’s meant to be. Ergo, no difficulty at all, because you don’t need anything. Well, in many situations, you no longer have a problem. Or you never did. Steam is available for a while now, so you’re all sorted on the game front. In other scenarios, the scope of the problem is much much less, or the software in question so complex that you really are an advanced user, and you don’t need any ten-of lists. For instance, you might really love SketchUp, but then, you are in such a tiny minority that you won’t be getting your own tutorial. Or maybe you love FRAPS? That’s cool, but we are not really worried about you. System imaging? Right, there you are, you will manage just fine. This is not an advertisement why Linux is better, but a simple list of a few categories, where Linux does so much better than its payware rival. For the following list of tasks, you will actually want to be using Linux, and if you had to migrate to Windows, you’d be in a bit of a spot. Digital camera software, well, I can’t think of any Windows program that is as good as digiKam. Likewise, video editing in Kdenlive seems so much easier than most freeware options available for Microsoft’s operating systems. The installation of drivers and codecs is also easier, as they come out of the box or from official, digitally signed repositories. FTP. Bluetooth support and sharing. Data backups with Rsync software. And so forth. Yes, there is. We did not discuss everything just yet. PDF software, to name one. CD/DVD burning tools, to name two. We will cover them in a sequel, or you might as well provide your own ideas and suggestions in the comments section. Overall, as you can see, the migration to Linux is not that difficult, although there are some insurmountable obstacles here and there. But for most people, the journey can be made with no more hardship than a transatlantic voyage in a sail boat without compass. On a more serious note, on its own, this article is only partially useful. But if you look at similar offerings over the years, you will notice that a decade ago, three or five categories of this type were in the impossible range of the spectrum. Today, maybe one or two. The gap is narrowing, and soon enough, you won’t even need guys like Dedoimedo telling you how and where to search for alternative software. We’re living in good times indeed. Take care. You “don’t need Linux anti-virus”? Welcome to 2014. If you use your brain, you don’t use security software even on Windows. If you don’t, you might want to need some on Linux too. P2P: aMule. Torrent is dead. If you have switched to an awesome program like Notepad++, then your Linux quest will not be as successful. 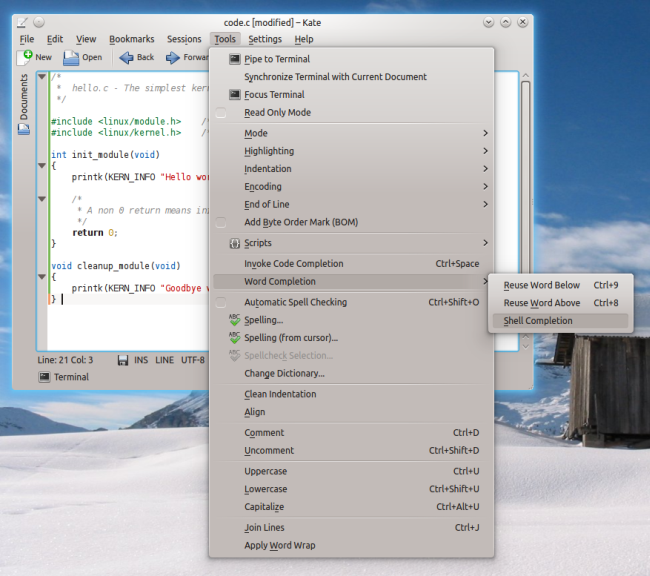 I switched from N++ to Vim to Sublime Text to Emacs – all of those three are available for Linux too. Easy to find something better than N++ even on Windows. There are Windows versions of rsync, by the way. “Torrent is dead” in what world do you live? you could use wync for lync. I would like a review on Jitsi (https://jitsi.org). From its website, I gather that Jitsi could be an alternative for Lync/Skype. Agreed that if you use Internet Explorer because you like it, you should probably start worrying about your mental health more than your choice of OS. However, the vast majority of IE users are forced to use it. A large majority of big corporations and government entities still have internal webapps that were written for IE, and won’t work without it. Bummer, but it’s true. Wine again might come to the rescue here. If you ever write an article on PDF viewers, I think it’s basically a matter of choosing any one of the good open source PDF viewers (I prefer qpdfview) but always having a copy of Adobe Reader for Linux around. I daily work with PDF documents, and I hardly ever need Adobe Reader. But at least once or twice a year I get a PDF document with active pages that load off the internet or have interactive fields that never work with anything except Adobe Reader. I am a professional graphic designer and product photographer and after 12 years as a Photoshop professional user, I switched to Gimp. It;s been more than 2 years and I have since edited or 1000 product photos and completed 30+ magazine ads, and hundreds of other pro level projects with it. Yes Photoshop has a few features gimp does not, but it is also a moving target… any pro could switch to Gimp and do their job, if they have the talent and are willing to learn a new way of doing things. I think You should also write that a lot of windows users still think that linux is hard to use and difficult to understand. A lot of my friend were using win os. They migrated to linux only when I showed them that linux can be much more productive, logic and it is really open system.